The Red Devils climb to 10th in the league table with their second win of the season. 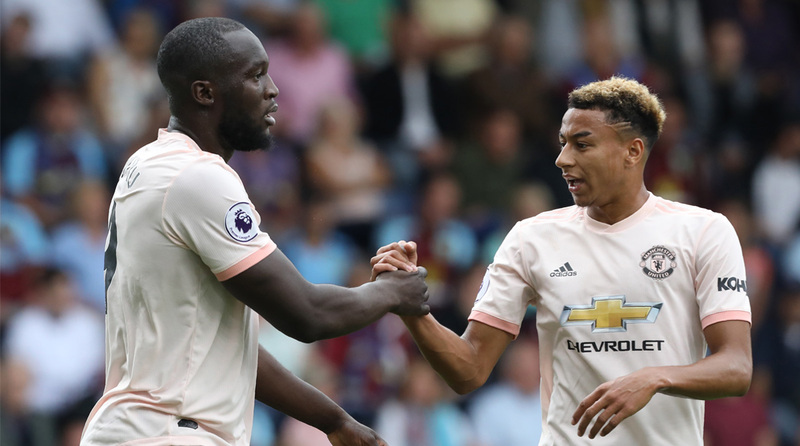 Romelu Lukaku’s crucial brace enabled 10-man Manchester United to beat Burnley 2-0 in a fiery Premier League clash at Turf Moor on Sunday night. Speculation surrounding Jose Mourinho’s job safety had gone into overdrive with many outlets claiming that should the Clarets beat their fancied opponents in the final game before the international break, the Portuguese tactician would get the sack. Mourinho needn’t have worried, as some tactical tweaks ensured his side were on top for majority of the contest. Marouane Fellaini and Alexis Sanchez were drafted into the side and the former added some steel to the midfield while the latter proved a previously-lacking incisiveness up top. The Chilean midfiedler’s superb cross found Lukaku and the Belgian buried his header past Joe Hart to give United a deserved lead in the 27th minute. Luke Shaw, as has been the case this season, was running riot on the left wing while Paul Pogba was unburdened by defensive responsibility and as a result, United were looking fluid in attack and could have been 4-0 up at the break. As it was, Lukaku could only add another to his tally before the interval, after some good work from Shaw and a lucky ricochet, to put the visitors in cruise control. United continued to dominate proceedings post the interval and while Burnley did up their game, they struggled to really test David de Gea. And when Rashford went down inside the box under a challenge from Aaron Lennon, the Red Devils had the perfect chance to put the game to bed. Pogba took the responsibility of claiming the ball for the penalty ahead of Lukaku, who was on the verge of a hat-trick, but couldn’t convert as Hart made a superb save to deny the Frenchman and the Clarets remained alive. Rashford, on as substitute for Sanchez, complicated matters for Mourinho’s men as he was sent off for head butting Phil Bardsley to leave United with a battle to preserve their clean sheet and three points. De Gea was finally called into action and the Spaniard made a couple of smart stops, but it was eventually comfortable for United as they held the Clarets at bay to relive some pressure of their beleaguered manager.